Hey! Pikmin on Nintendo 3DS is a surprisingly unique, charming 2D platformer that should not be missed by Nintendo 3DS owners this summer. I wasn’t sure how the Pikmin series would feel making the jump from real-time strategy to side-scrolling platformer. 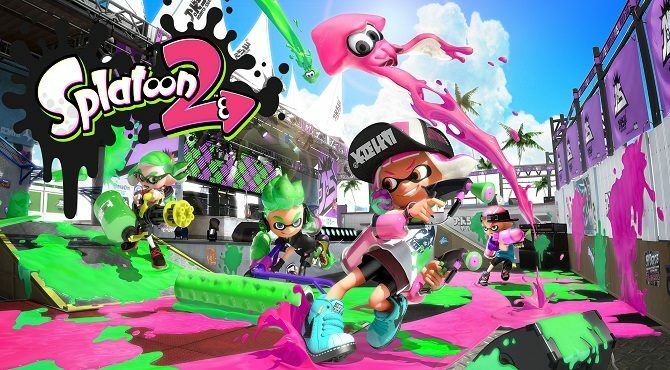 Luckily Nintendo has proved that it can take even its most unique franchises and give it a completely new makeover. Hey! Pikmin is a surprising treat that Nintendo 3DS owners shouldn’t miss out on. The game’s premise is very simple. On his way back home, Captain Olimar gets into a situation that causes him to crash land (again) on an unknown planet. Lucky for him, Pikmin inhabit this planet as well, alongside a slew of other cute and deadly creatures. With the help of your Pikmin you’ll have to collect enough “Sparklium” to get your ship home. My biggest fear going into Hey! Pikmin was that it would be too easy. This wasn’t the case at all though. 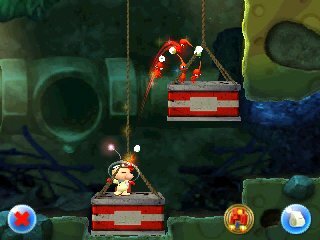 While completing levels is relatively easy, only Captain Olimar needs to make it to the end; the game’s challenge revolves around keeping all of your Pikmin alive throughout each level. You also won’t always be handed all of the Pikmin in each level, sometimes they’ll be hidden. On top of that each area has hidden treasures located throughout it that’ll increase the amount of Sparklium you get at the end of each level. Hey! Pikmin doesn’t always run great on older Nintendo 3DS and Nintendo 2DS models. I played the game on a Nintendo 3DS XL and the frame-rate could become absolutely terrible at times, resulting in Pikmin being killed. The frame-rate didn’t cause enough problems for me to get truly frustrated by it though, but Hey! Pikmin will probably run best on New Nintendo 3DS hardware. My other big problem with Hey! Pikmin is the controls. Like Kid Icarus: Uprising, Hey! Pikmin requires you to hold the 3DS in your left hand and the stylus in the other. The ideal way to play is sitting down somewhere so you don’t have to hold the weigh of the 3DS in your hand — it actually got tiring after long stretches of time. Not only that but sometimes the touch controls wouldn’t work the way I wanted them to. 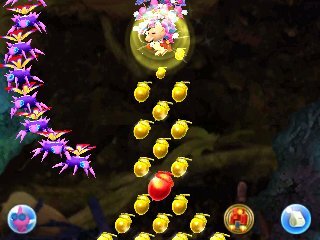 Throwing Pikmin was fine but in levels that give you multiple types of Pikmin, sometimes only certain Pikmin could kill an enemy. Accordingly, I would have to tap the touchscreen to equip them. It was frustrating trying to change my Pikmin only to throw one and then get trampled. The controls work but they’re definitely not ideal. You’ll be given a slew of different Pikmin in each level. Not all Pikmin from the series make a return though, you’ll be using red, blue, yellow, winged, and rock Pikmin throughout the entire game. Gamplay-wise, Olimar can only actually do a few simple actions, most everything else is done using the Pikmin. He can use his jetpack to reach points the Pikmin can’t reach, blow his whistle to rally Pikmin in the area, and throw them to grab things, fight enemies, and solve puzzles. All of the Pikmin die in one hit so you can’t play Hey! Pikmin fast like more conventional platformers. While each level doesn’t ever take too long, Hey! Pikmin forces you to take everything at a slower pace and encourages you to explore every nook and cranny. Like regular Pikmin games planning is a part of the fun, finding everything in a level and getting all the Pikmin out will get you some good rewards. Pikmin aren’t just used in the game’s main levels. At the end of each level all of the Pikmin that you saved will be transferred to your Pikmin Park. Here you can assign each type of Pikmin a different collecting task and over time they’ll find Sparklium and hidden treasures that’ll help you reach your primary goal. The more Pikmin you have the faster they’ll gather. There are eight sectors in Hey! Pikmin. There are four main levels in each one and one boss battle at the end of them. 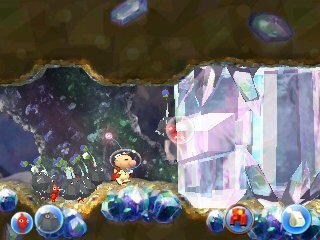 You can also unlock a ton of secret areas that’ll let you collect more Pikmin for your Pikmin Park as well as mini-games where you can collect a ton more Sparklium. Keeping all of your Pikmin alive and collecting treasures in every level will give you access to these areas. For those of us with Pikmin amiibo, Hey! Pikmin is launching alongside a brand new Pikmin amiibo figure that can be used in the game. Players can use that amiibo or an Olimar amiibo to unlock new area in each sector to collect more Sparklium, summon Pikmin in each level, and more. I personally probably am never going to take Olimar out of the box but it’s cool that amiibo owners are given some extra content. Each sector feels different from the last, with the usual platformer environment-tropes — there are snow based levels, fire based levels, and more. They will test your wits and your Pikmin skills. While the gameplay remains fairly similar throughout Hey! 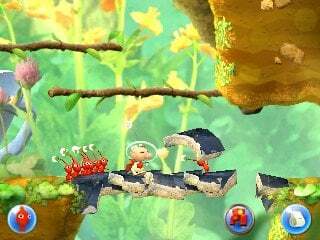 Pikmin, it’s the changes in environment, enemies, and obstacles that keeps things fresh. Heck, some of the game’s recurring enemies would still kill my Pikmin, even in later levels. Hey! Pikmin’s music and art breathe life into its unexplored world. The backgrounds in each level tell stories of an ancient civilization that’s much like our own. In a way it’s kind of creepy, but also really cool and unique in what seems like such a heartfelt world. Hajime Wakai returns to Pikmin with an incredibly cool score. 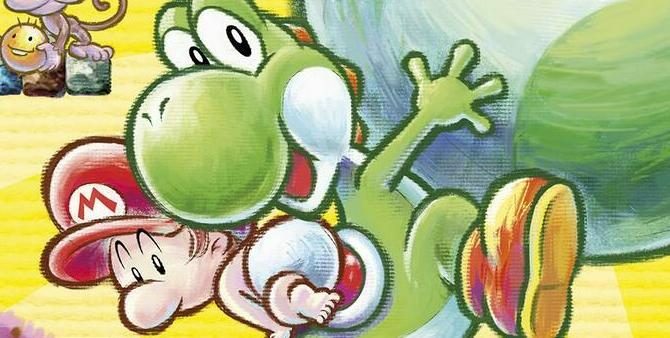 Wakai-san is credited for composing scores for mega-series like Star Fox 64, F-Zero, and the original Pikmin so he’s no stranger to Nintendo’s sci-fi games. Cutscenes play throughout all of the game’s levels and they’re incredibly charming. They bring the Pikmin themselves to life. And while the score couldn’t help but impress me, boss battles in Hey! Pikmin are relatively disappointing. Each boss typically has one or two attacks; once you figure them out, defeating them is a breeze. There wasn’t any one particular boss that really had me scratching my head. They are cool nonetheless but I would’ve liked more of a challenge in these parts of the game. In a summer chocked to the brim with stellar releases, Hey! Pikmin might not be on your radar — but it should be. I hope that Captain Olimar’s next adventure happens sooner rather than later. Pikmin seriously feels like a series that’s filled to the brim with potential, Nintendo just needs to execute. Hey! Pikmin is an incredibly fun platformer that’s easy to pick up and doesn’t take a ton of hours to finish like many games that have come out this year. While I was able to get through the game in a couple of days, reaching 100% completion on each level will take some time and serious dedication. 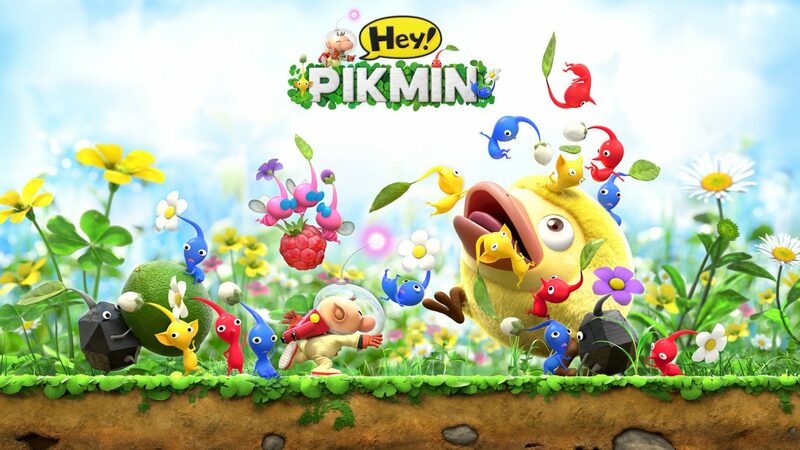 Fans of older Pikmin titles and even Nintendo 3DS owners that have never tried the series before are in for a treat with Hey! Pikmin — I highly recommend it. 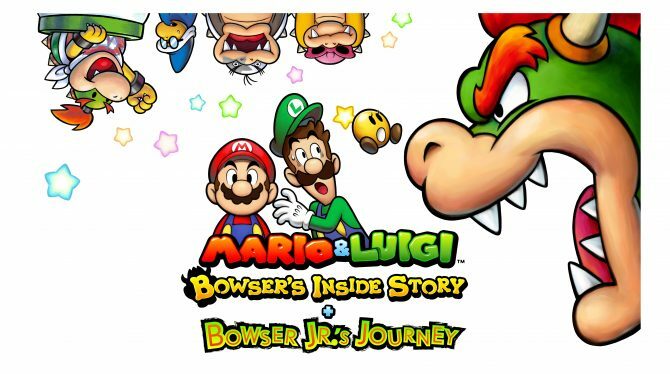 Everything fun from Mario & Luigi: Bowser's Inside Story gets a facelift, but what's new might not be special enough for another purchase.